"Audience building can be enhanced by the passing of customData into the track and trackCustom calls. 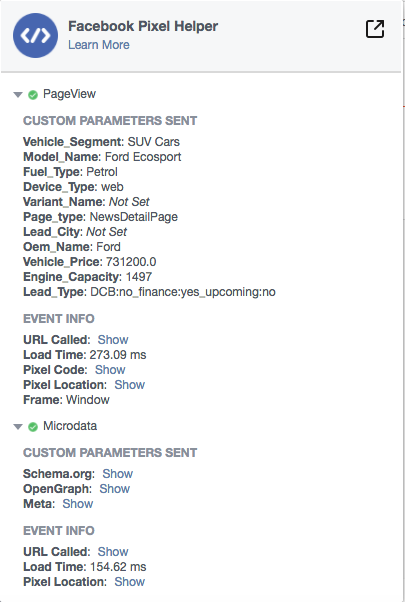 You can not track or optimize for conversions based on custom events at the current time." I read this here. I was just wondering what would be the benefit of sharing "custom parameters" to facebook? What is audience building here? And how would facebook utilize all these customData? Browse other questions tagged advertising facebook advertisement or ask your own question. Facebook connect And Yahoo.. How and what exactly happened? Is there way to import facebook friend's email id? How to detect conversions in a configuration with a simple Paypal Buy button? Do I Need to change Facebook Pixel after switching from HTTP to HTTPS?